Glass pendant created using a flattened glass marble nugget. 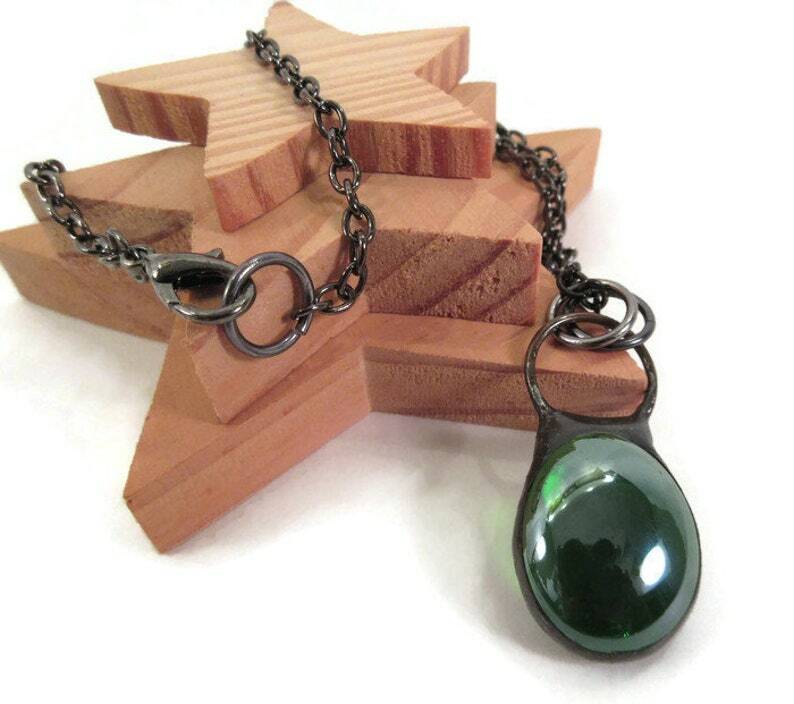 This pretty deep green translucent pendant is handmade glass and metal jewelry. The pendant has been foiled then soldered generously with lead free solder, a large O ring is added, the pendant is cleaned and then given a dark patina. The glass nugget pendant has been waxed and polished then hung on a small gunmetal chain. Like all of my handmade jewelry it comes packaged in a handmade fleece gift bag that is ready for gift giving or safe keeping.